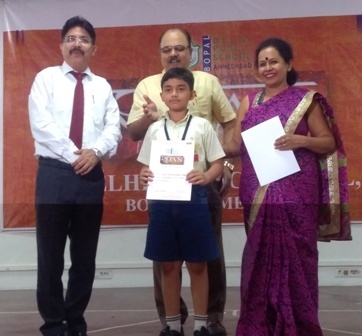 Manit Shah from class 5 has secured 3rd position in origami competition held by D.P.S. (Shrijan). He is very creative, always keen to learn new paper foldings craft. He has also participated in Amogh 2017-18 (live origami). He makes beautiful animals and birds from craft papers.